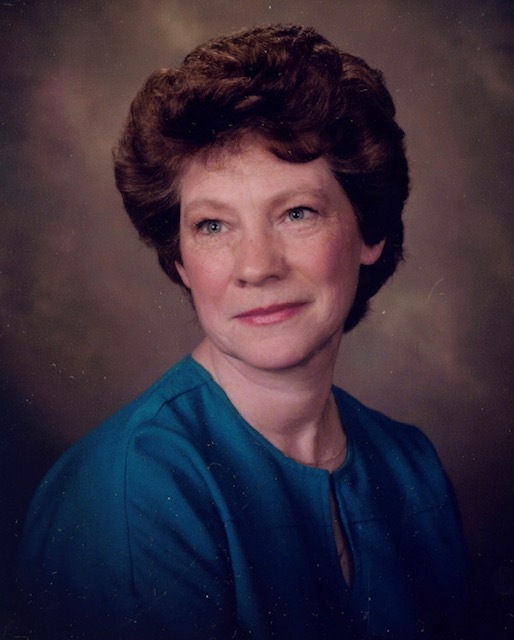 Patty June Ludwig Jung died Tuesday, October 23, 2018. Born February 6, 1936 in Faith, North Carolina to the late Cohen Chester and Ida Ruth Peeler Ludwig, Patty was raised with three siblings: the late Donna Bernhardt, Neil Ludwig and Nan Jansson. Graduated from Granite Quarry High School, she earned a BA degree in PreMed/Biology from Catawba College in 1957. After completing certification in Histopathology from the Charlotte Memorial Hospital Medical Technology Program she worked at NC Memorial Hospital in Chapel Hill and in laboratory at US Public Health Services. Patty is survived by her husband, James Moser Jung (formerly of Kannapolis, North Carolina) and five children: Anita Bunce (Linwood), Dayna Scarborough (Rusty), Alisa Powers (Doug), David Jung (Johanna) and Krystal Alligood (Bart). Jim earned his PhD at UNC in 1962, and the family moved to Buies Creek, NC making a life around his teaching at Campbell University. Patty was an educator in elementary and secondary schools of Harnett and Wake Counties teaching classes in Science, Music, Art and Drama. She furthered her own education at Campbell University earning a Masters degree to certify in Music Education. After graduate school, Patty was adjunct instructor at Campbell University teaching Education, Fine Arts, Art Education and Church Music. Patty extended her reach and impact on her community in various ways beyond the formal classroom by leading church youth, Girl Scouts and teaching ESL classes. She was an artist and shared her talents by illustrating and designing church bulletins as well as two books authored by Campbell University Law professor, Dr. Stanley McQuade. Many young people of Harnett County will fondly remember participation in the Christ Incorporated Music group in the 70’s, which led in worship at various local events and churches. She was Minister of Music Emerita at Memorial Baptist Church having served in that role from 1975-2005. She continued to be an active member of MBC Choir and CU Choral Society. She enjoyed going to the beach with her husband, five children, thirteen grandchildren and 6 great-grandchildren . . . and growing old in Buies Creek. Please join the family for a memorial reception at Memorial Baptist Church in Buies Creek at 12:30 on Sunday, November 25th followed by a service at 2:00 in the sanctuary. Memorial gifts can be directed to The James M. Jung and Patty L. Jung Endowed College of Arts and Sciences Scholarship Fund of Campbell University.